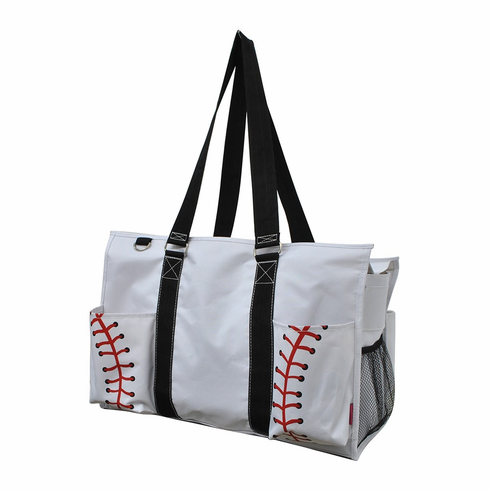 White Baseball Utility Canvas Tote Bag. Measures appx. 15.5"(L) x 6"(W) x 11"(H). Two handles with a 9" drop. Two pockets in front and two in the back.